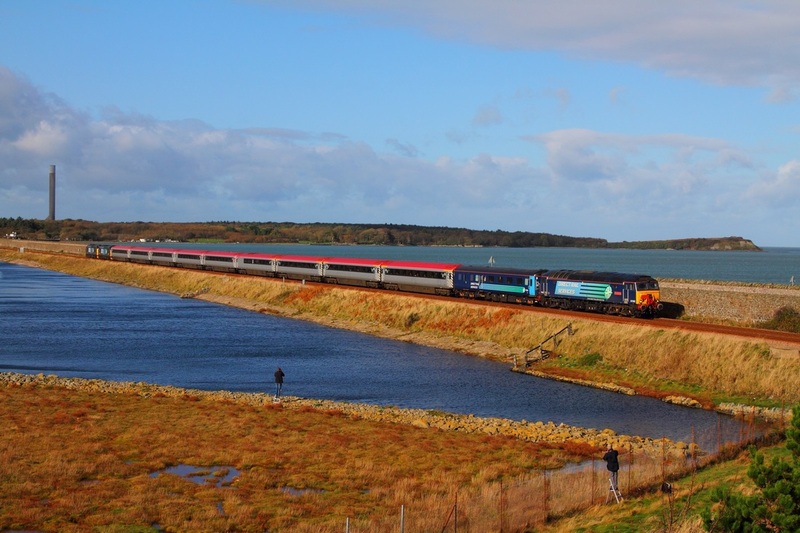 If you have a spare few minutes, please could you help me with my dissertation by filling in a questionnaire survey (click here), Many thanks to everyone who have completed the questionnaire survey, its much appreciated. DRS 37604 leads 82121 on the 5Z57 Brush Loughborough works to Norwich Crown Point at Ashwell on the 31st October 2014. 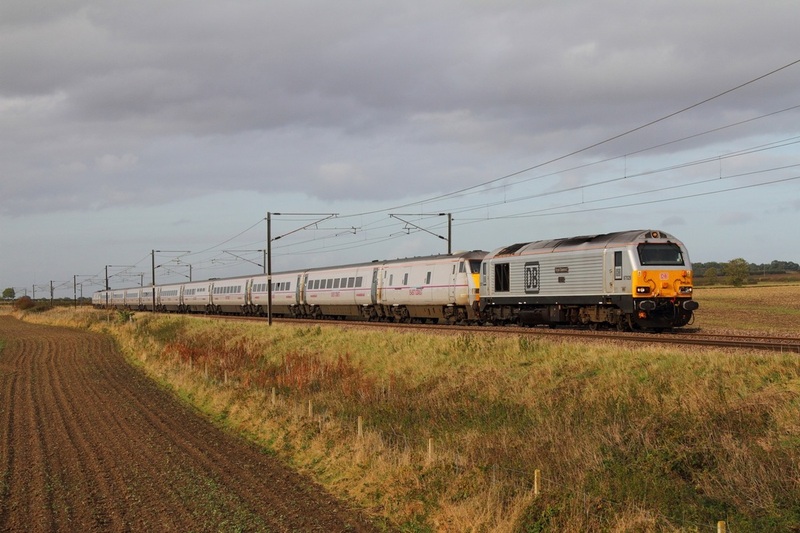 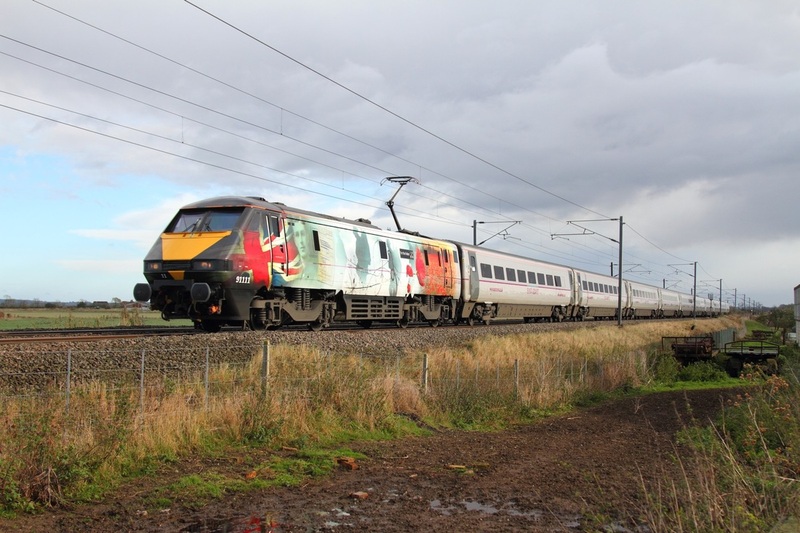 91111 on the 1N85 1308 London Kings Cross to York at Claypole on the 21st October 2014. GBRf 73961 leads 45041 on the 1100 Loughborough to Leicester North at Woodthorpe on the Great Central Railway on the 18th October 2014. 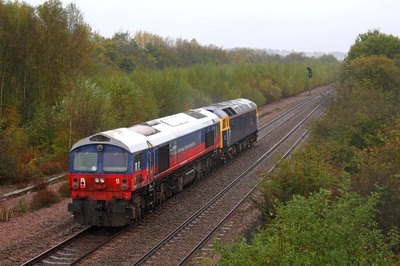 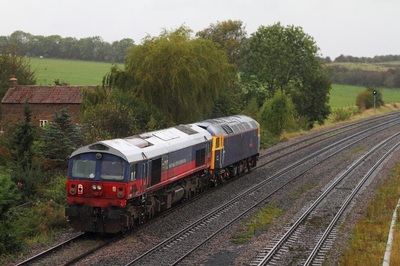 DRS 37682 leads 47818 on the 5Z30 Derby to Crewe CS ECS at Willington on the Uttoxeter line on the 12th October 2014. 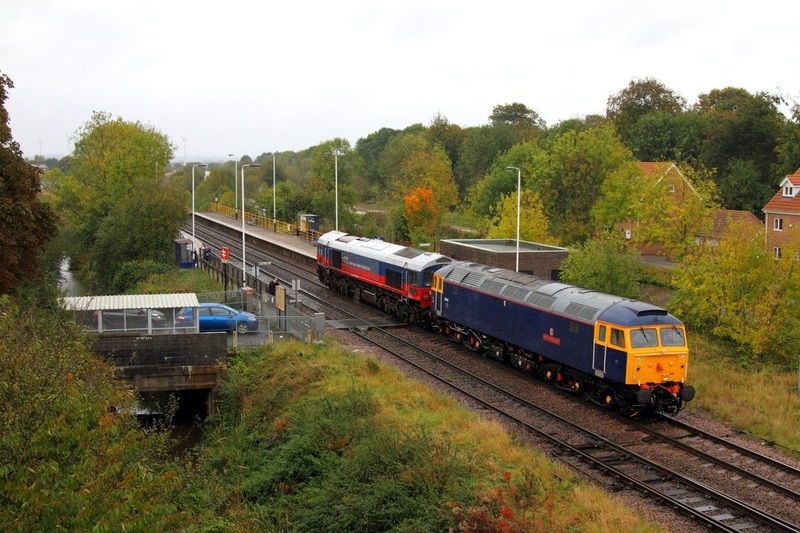 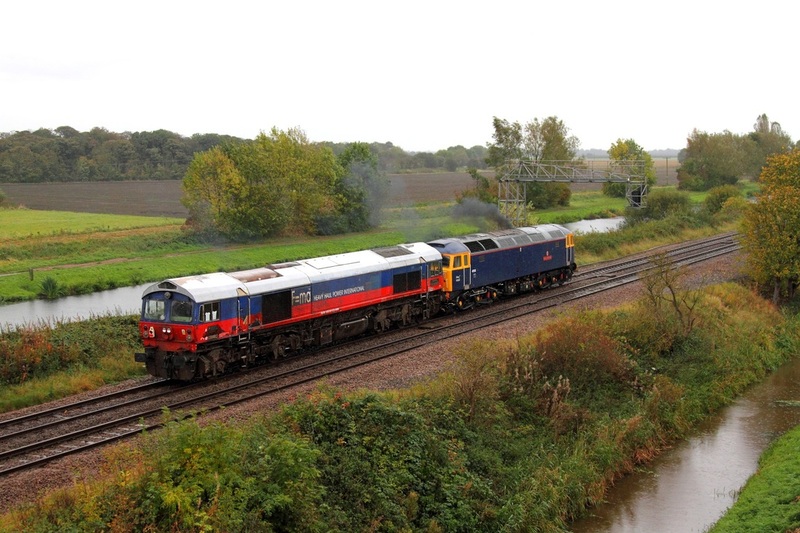 A busy scene, as 47843 leads 47812 on the 4D94 Doncaster to Drax at Hansell, Heck as an East Coast HST heads north on the ECML on the 10th October 2014. 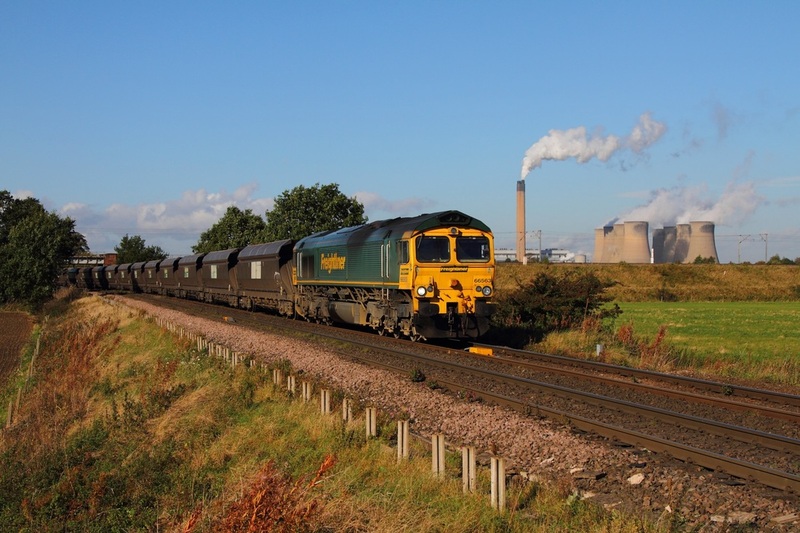 Eggborough power station is in the background. 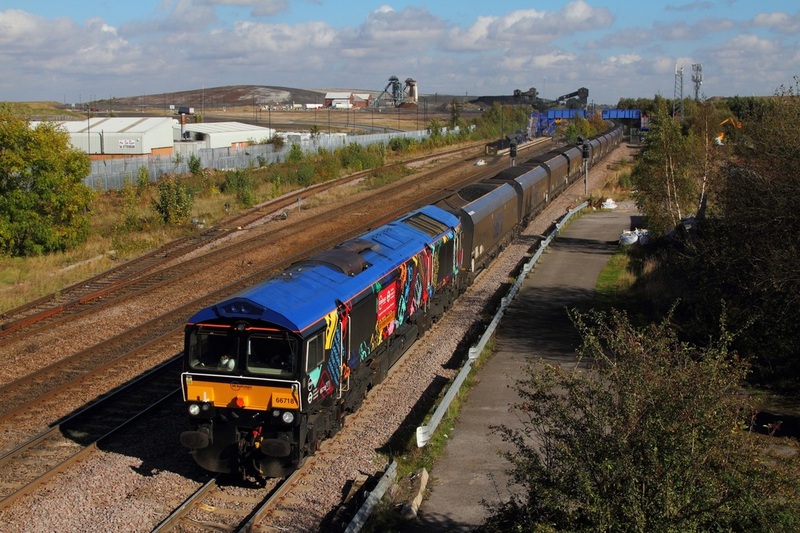 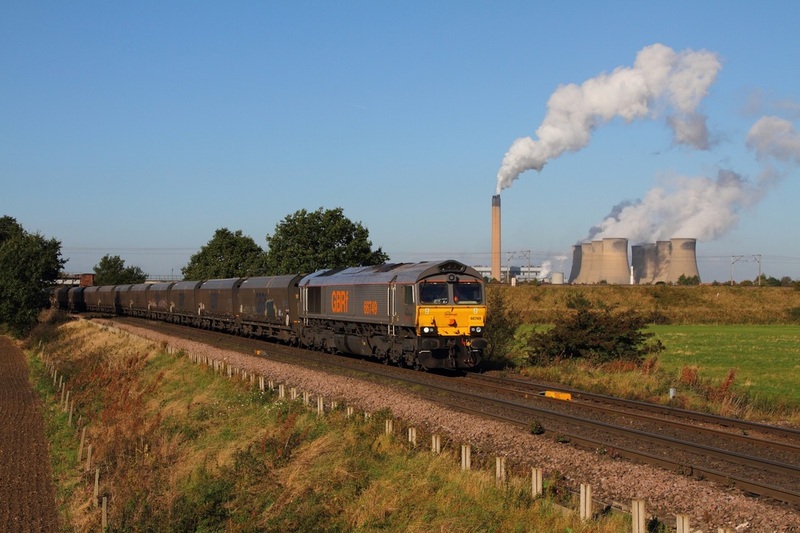 GBRf London Transport liveried 66718 hauls the 6F11 Immingham to Cottam power station at Hatfield and Stainforth on the 10th October 2014. 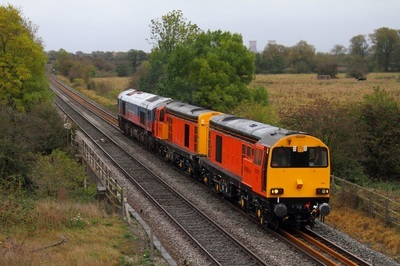 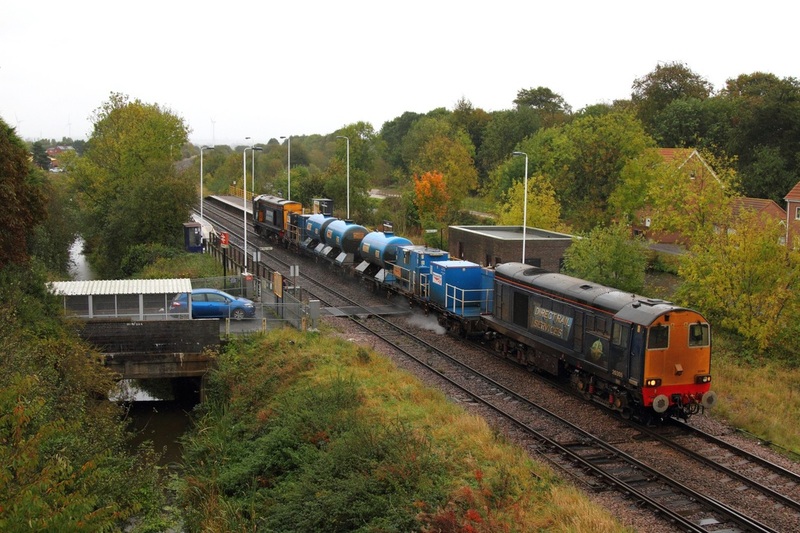 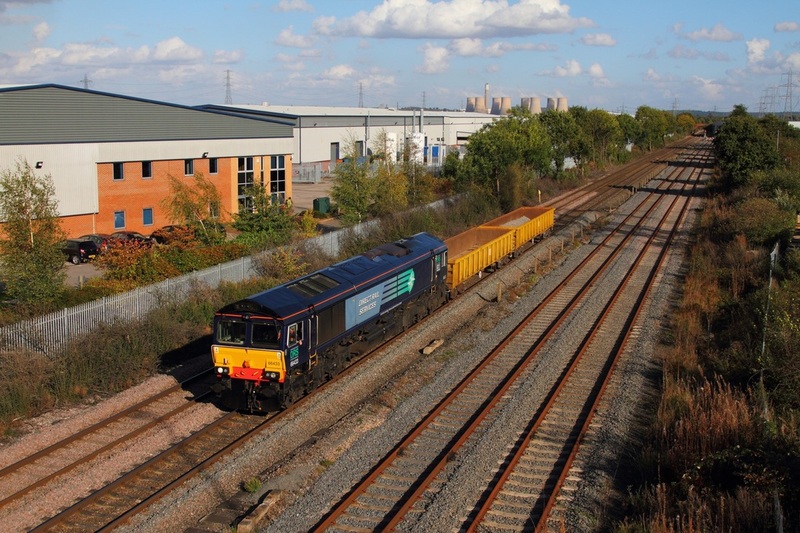 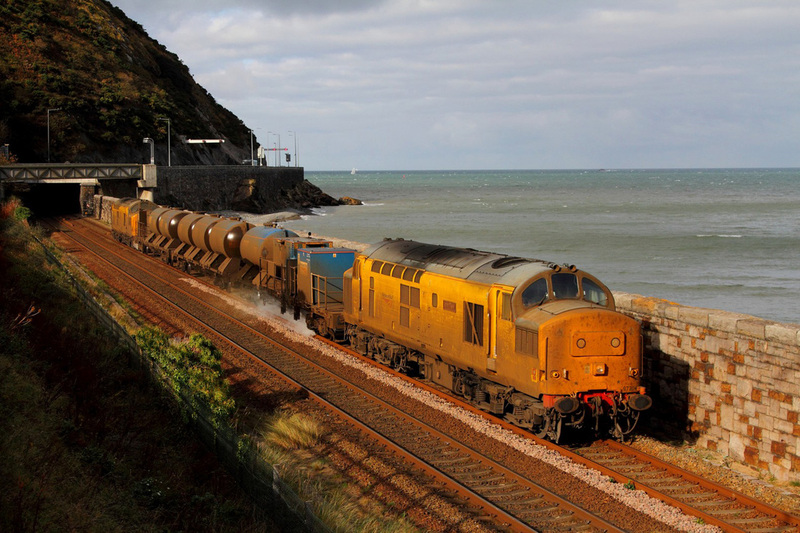 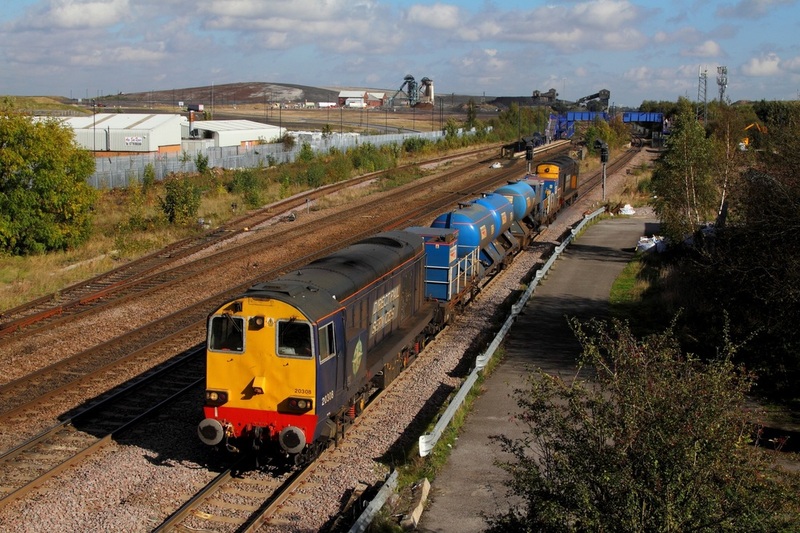 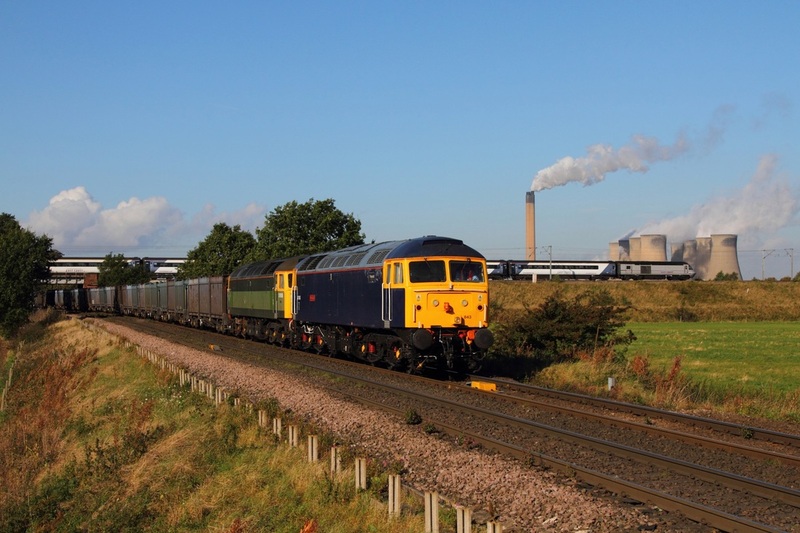 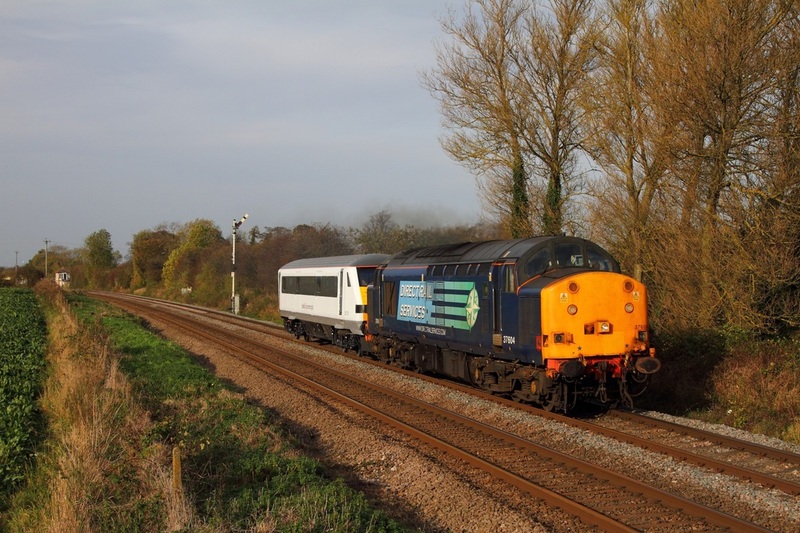 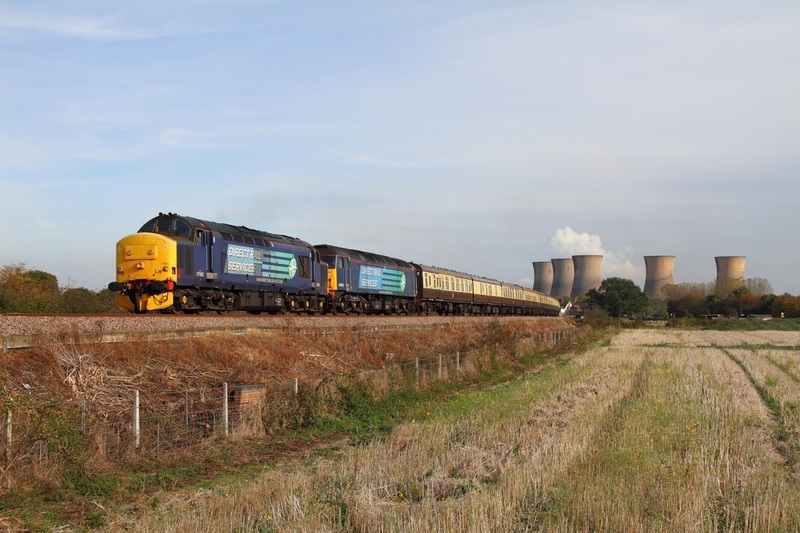 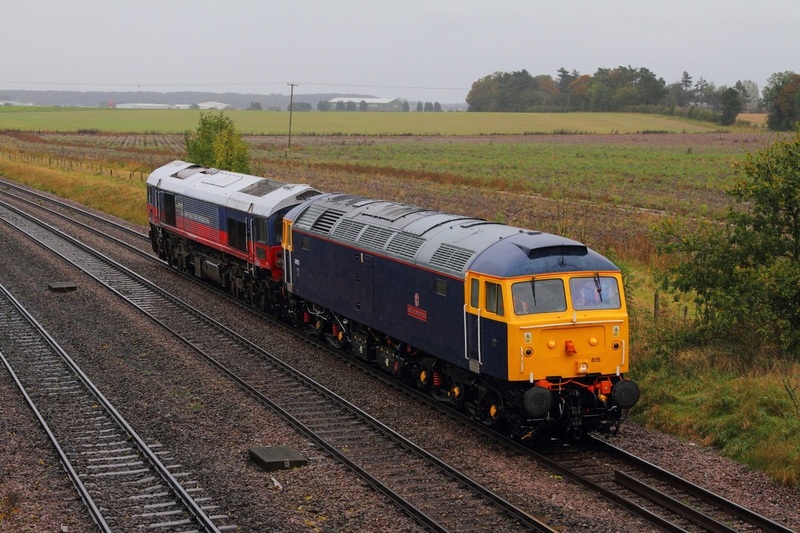 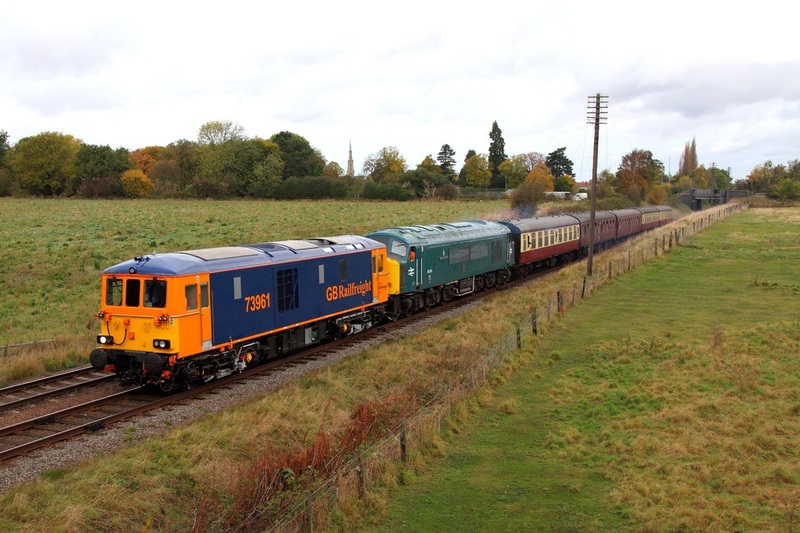 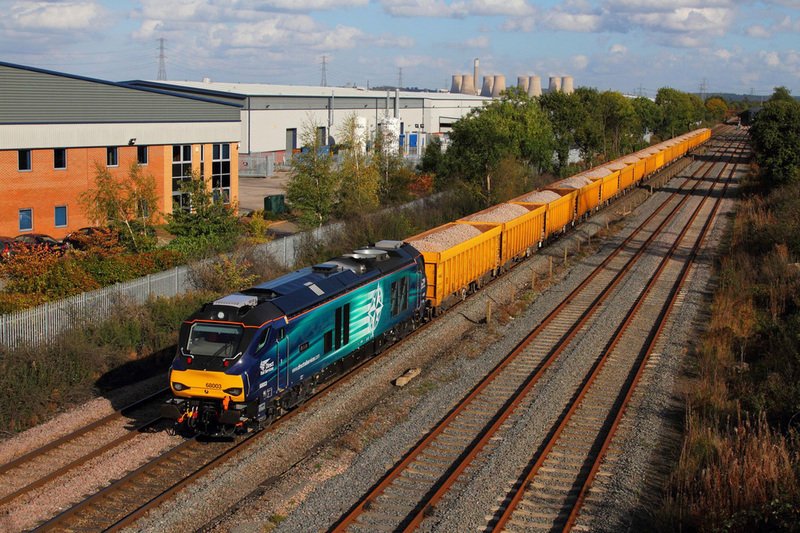 GBRf 66748 works the 6H12 Hull to Drax at Hansell, Heck on the 10th October 2014.